OK – so it feels a little strange writing about parks in late December. I’m as disappointed as anyone about the lack of snow for our winter sports. However, why not take advantage of this warm weather to enjoy some area parks, the river, biking or fishing. As long as the trails aren’t wet, Camel’s Back park is a fantastic place to work off some of your post holiday indulgences. Most adults and kids alike love the ‘hill’ at the park and the challenge to climb it. The best part of the park is that it offers so much. You can enjoy biking trails along the perimeter that lead you down 9th street to additional trails, plus hiking trails are accessible all over the North side of the park. The kids can enjoy the great play equipment on the flat portion to the West. If you’re a tennis fan, there are tennis courts available. AND there is a huge portion of flat grassy area for people to play games like flag football, ultimate frisbee, soccer, lacrosse, or whatever other impromptu game that we don’t usually have the luxury of playing outdoors in late December. Another bonus…It’s free! I don’t know about you, but I’m signing off early today to hit the greenbelt and throw a line in the water. Experienced Realtor in the Treasure Valley and McCall/Donnelly area. Message me with questions! 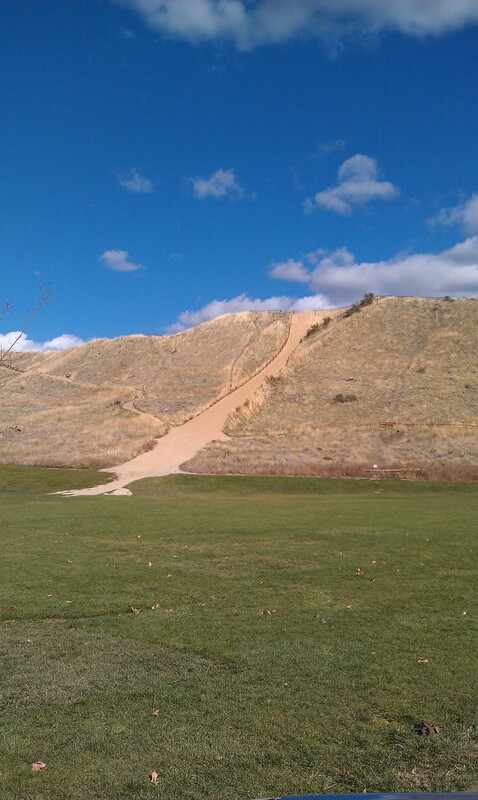 Posted on December 28, 2011, in boise idaho activities and tagged boise, camels back, family activities, parks. Bookmark the permalink. Leave a comment.